This year, for the “I mai visti” cycle – realized thanks to the Amici degli Uffizi association – Uffizi Gallery gives to its visitors the opportunity to discover the Florentine Galleries collection of Russian icons. You can admire 81 icons realized from the XVI to the XVIII century, that represent the most ancient collection of icons outside the Orthodox area. These works became part of the Granducato di Toscana collections in (about) 1761, even if the most ancient pieces had been brought to Tuscany previously. 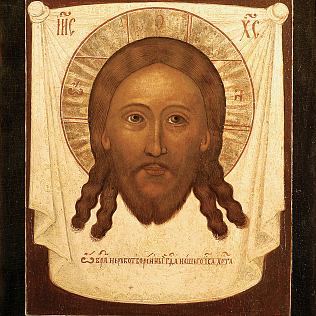 The artistic style of the icons suggests that they were realized in Moscow and other villages in Rus’ area, and then they were purchased in little clusters. We still don’t known exactly why they arrived in Tuscany and in the Medici collections at Palazzo Pitti. It has been supposed that they have to do with the propaganda put to use by Catherine the Great, during the Russo-Turkish war, during which Russian navy stayed in Livorno. Some icons are probably votive offerings for western Orthodox communities. It is also necessary to remember that the Santissima Trinità Orthodox church was built in the same town during XVIII century. In the exhibition context – curated by Valentina Conticelli, Vincenzo Gobbo and Daniela Parenti – the visitors can enjoy some free educational workshops for kids from 5 to 10 years old.